What can I say? 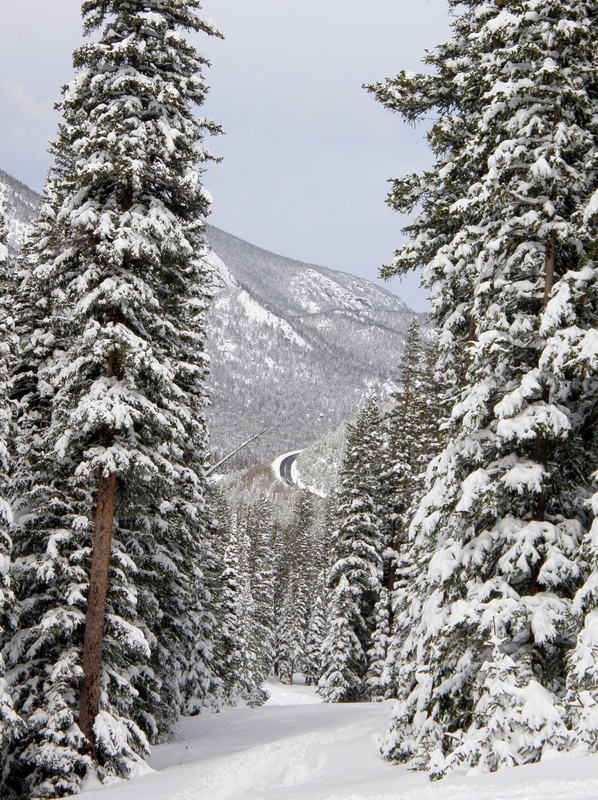 It’s been quite a while since we’ve been to Rocky Mountain National Park. Like more than 20 years, and about a 2-1/2 hour drive. It’s not that it isn’t a nice place to visit, but we just never seem to get there. This year we decided to go . . . and stay for a couple of nights, and . . . snowshoe! We hadn’t really planned on it, because, as was noted in my previous post, it had been in the 70s along the Front Range for weeks. But, then just before we went the temperatures dropped and we got a little snow in the lower elevations and . . . . . . two feet in the National Park! Woo Hoo!!! We drove up there on the morning of Friday, April 17. 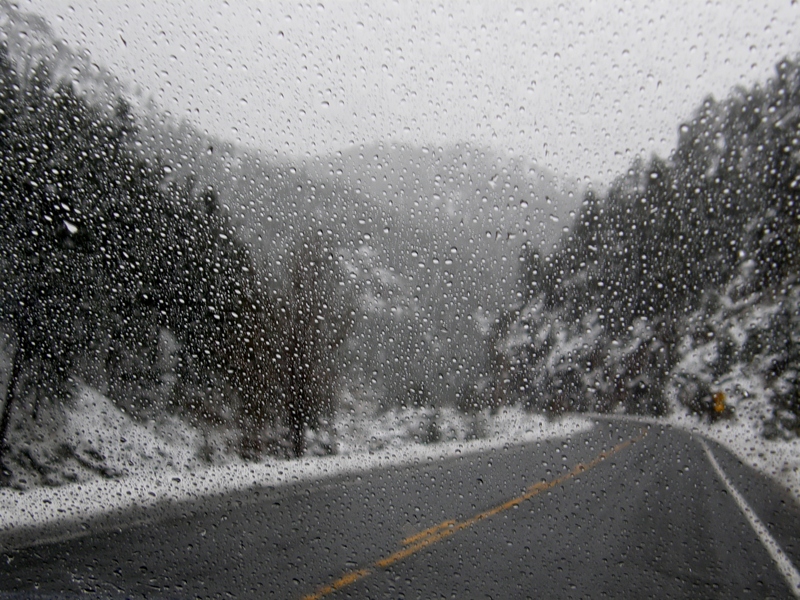 As we approached Estes Park on US-34 it began to snow again. 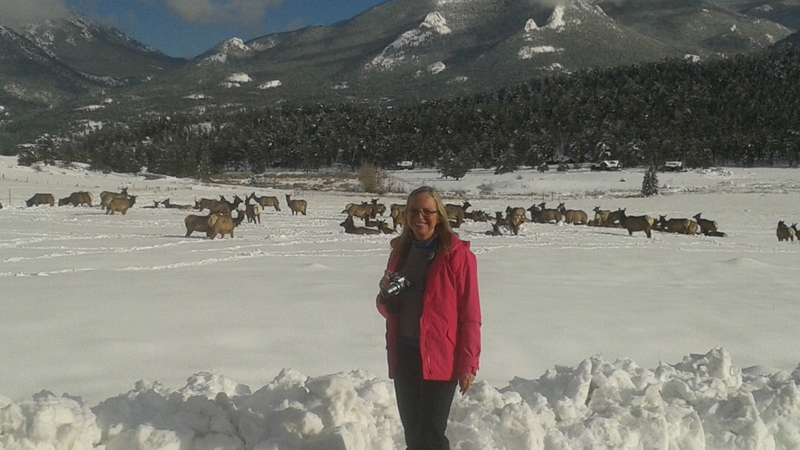 We stayed on the west end of Estes Park at the Maxwell Inn. It was a nice little place, looking as if it had been recently renovated, with off-season rates. After check-in we headed out right away to check out the road conditions in the park. We stopped at the Beaver Meadows Visitor’s Center and the ranger mentioned that the road to Bear Lake wasn’t open today, but that it might be on Saturday. So we opted to drive up to Hidden Valley. There was plenty of snow, and by this point we just couldn’t believe how lucky we were. 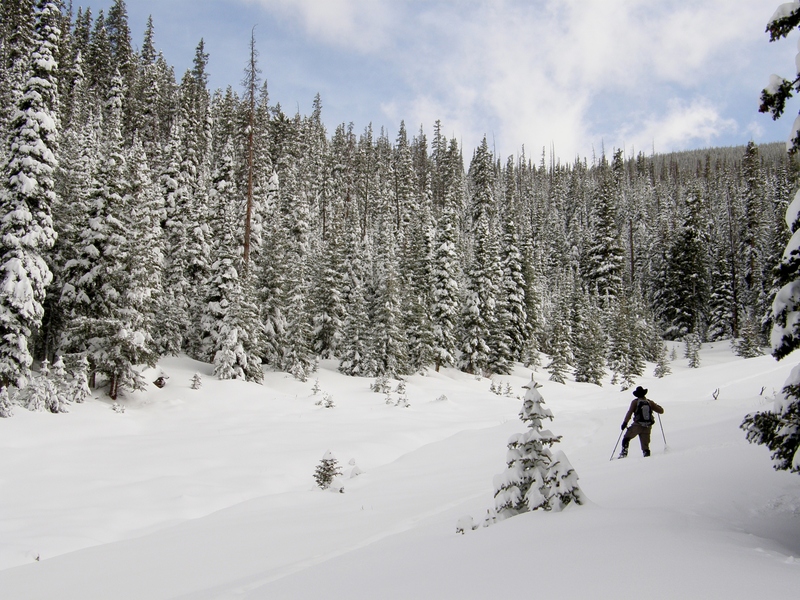 We dressed warm and put on the snowshoes and headed out. After we finished our hike around Hidden Valley we went for a drive and as we drove past Moraine Park we saw some vehicles stopped on the side of the road. They were looking at some elk. A whole bunch elk. Very nice. On Saturday we headed up towards Bear Lake and as expected the road was clear all the way to the Bear Lake Trailhead and parking area. The lake itself is only a few minute’s walk from the end of the parking area. We checked it out and then headed up the trail towards Dream Lake. On the way to Dream lake you arrive at Nymph Lake. There were 10 or 15 people already here with plenty coming and going. 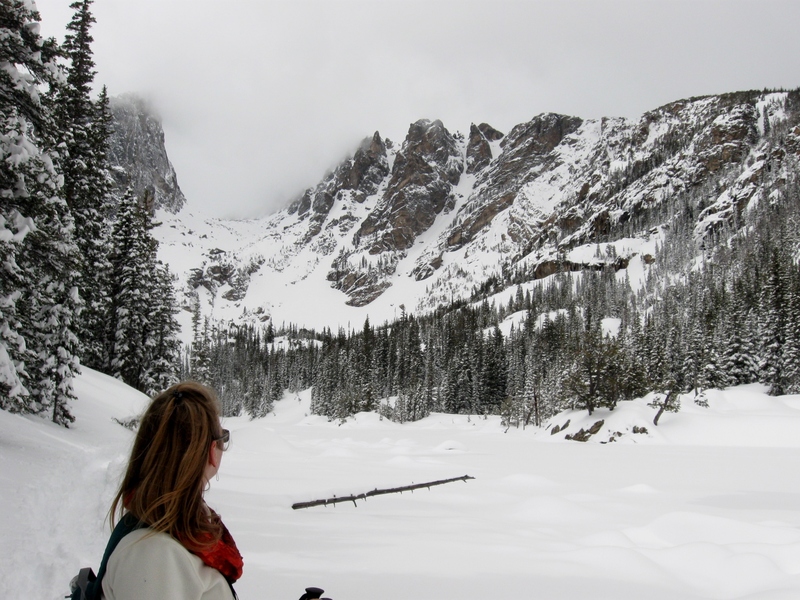 We trekked around the south side of the lake and continued on to Dream Lake. There were lots of snowshoe hikers taking a break so we hiked a little further and had lunch. It was at this point that I realized my gloves were no longer clipped to the carabiner on my camera case. Bummer. I queried a few new arrivals and one guy said he saw them on the trail close to the start. Later, when we got back to the parking area, I asked a ranger if anybody turned them in. He asked me describe them and then he returned them to me. Nice. We considered going to Emerald lake, but the weather looked like it might be changing and since I lost my gloves I figured we should head back down. There are some great views along this trail and I have to say that this hike was probably the most enjoyable snowshoeing I’ve ever done. Later in the day we did more hiking in the Glacier Gorge Area and towards Alberta Falls (named for Alberta Sprague I believe), but this time we left the snowshoes behind and tried out the Ice trekkers. 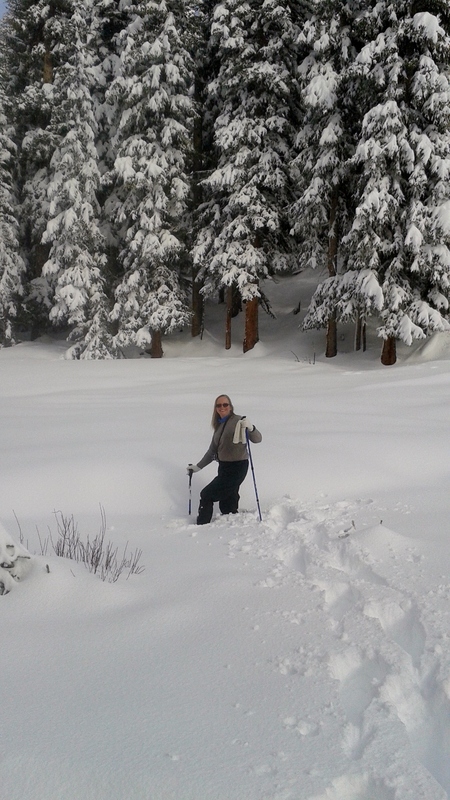 We probably could have used the snow shoes as the snow was still pretty deep. 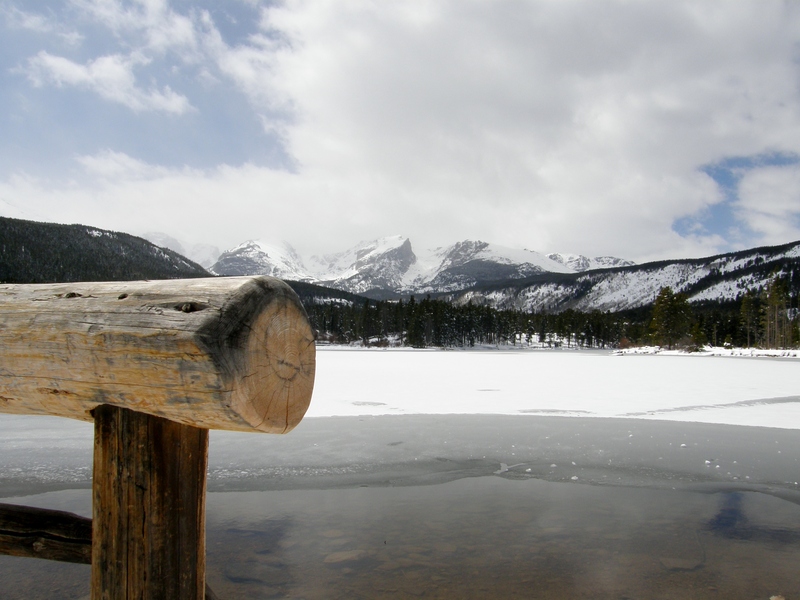 On Sunday, we headed over the Sprague Lake for a short hike around the small lake. The snow was very compacted and icy in spots, and leaving the snowshoes in the truck once again, we used the Ice Trekkers. 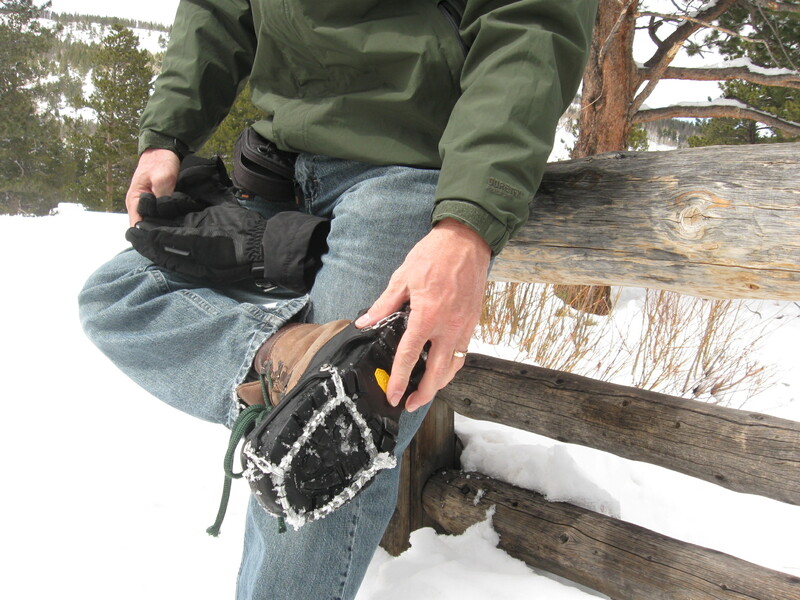 They worked really well, provided you didn’t wander too far off trail into the knee deep snow. Later that evening we stopped to visit our youngest son to celebrate his 21st birthday on our way home. It was a great weekend in Rocky Mountain National Park. 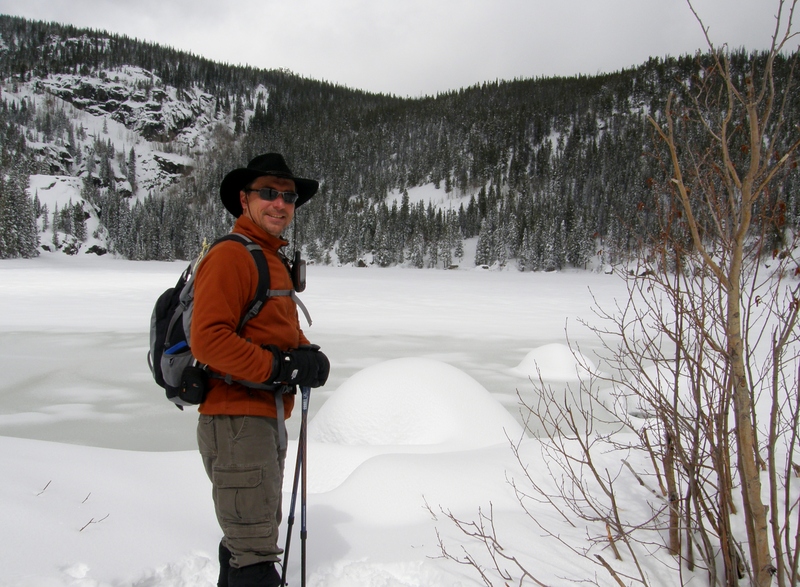 This entry was posted in Colorado Life and tagged Bear Lake, colorado, Estes Park, Hidden Valley, hiking, Rocky Mountain National Park, Snowshoeing.